Welcome to Sixteen-O-Run, a state-of-the-art fitness center for the exclusive benefit of 1601 Market tenants. As an employee working within this building, you are eligible to join Sixteen-O-Run. The facility is managed by HealthEase, Inc., a regional fitness consulting company, and staffed with qualified health & fitness professionals ready to assist with your wellness needs. 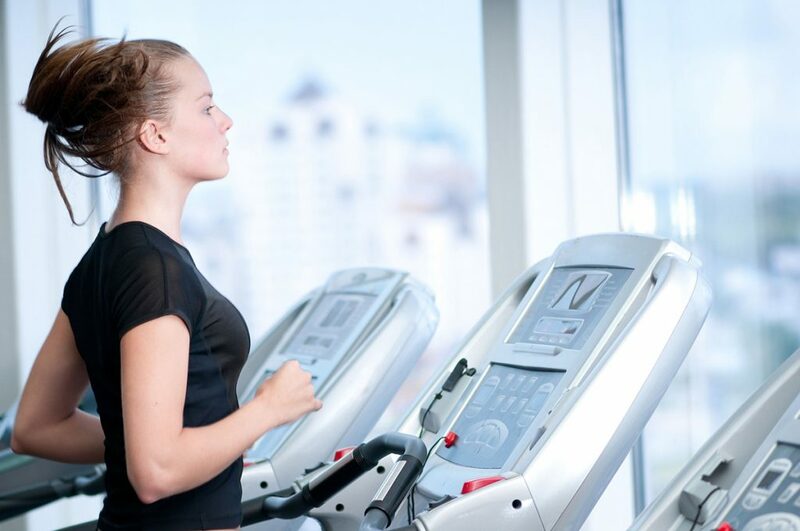 Located on the 10th floor of 1601 Market Street in Philadelphia, the fitness center offers premium quality exercise equipment as well as valuable services and amenities. The current membership fee is $22.50/month, paid monthly. Individualized Exercise Routines: You may receive a free customized exercise program from our trained staff. Program updates will be offered on an ongoing basis to ensure steady progress is being made to attain your individual goals. Fitness Assessments: Fitness assessments help determine baseline values for tracking your progress. Blood pressure and body composition are among the health parameters measured. Locker Rooms: For your comfort and convenience, the locker rooms will provide daily locker use, showers, bath & body gel, and complimentary shower & workout towels. Locker & Laundry Service:* Rental lockers are available for personal use on a first come, first serve basis. This popular amenity is also available with laundry service, which enables your workout clothes to be washed and returned to your locker each day. Personal Training:* For additional motivation, support and guidance, you can choose to receive one-on-one instruction from a certified trainer. Personal training is highly effective in maximizing the results achieved from your workouts. Nutrition Counseling:* If you would like to address your dietary concerns and receive guidance for improving your eating habits, you may consult with one of our Your Fuel™ registered dietitians. Many health insurance plans cover the private session costs. Company Tailored Programs:* HealthEase can provide Fit Fairs, educational seminars, and other programs, right in your offices. *Additional cost incurred. See a staff member for more information. Bridget graduated from Temple University in 2011 with a Bachelor’s degree in public health. She is a certified personal trainer and group exercise instructor through the National Personal Training Institute. Aside from the gym, Bridget enjoys playing tennis and traveling. When it comes to fitness, Bridget believes it is a journey to lead you to a happier, healthier lifestyle. Consistency is key! Click JOIN NOW to download and complete the Agreement/Application. Deliver to the Property Management office or email it to Fitness Center Manager Bridget Tobin at btobin@healtheasefitness.com. Click Continue after you have completed your payment information. It will take you to Review Your Payment to ensure your information is correct. Once confirmed, click Agree & Pay. Your payments will be made automatically each month, unless you deactivate your membership. Once we receive your completed Agreement/Application form and your initial payment of $22.50, your membership to the Fitness Center begins and your 1601 Market Street Access Badge will be activated to allow you into the fitness center. Any questions? Contact Bridget Tobin at 215.344.8225 or btobin@healtheasefitness.com or Property Management at dkirsch@apf1601marketstreet.com.